Beartown sounds like the kind of place you’d find in the frozen north of America in some post-apocalyptic TV show on Netflix. In reality it’s the nickname of Congleton, in Cheshire. Legend has it that the town sold its bible to buy a bear, a fact immortalised in the brewery’s logo. Now, selling the bible for beer I could understand, but a bear? Fact is, Congleton was notorious for bear-baiting, the ancient art of … well, harrying a bear to death with dogs, and for some reason they needed a new bear. These days things are a little more enlightened, and the brewery takes a stand against animal cruelty by partnering with charity Animals Asia. 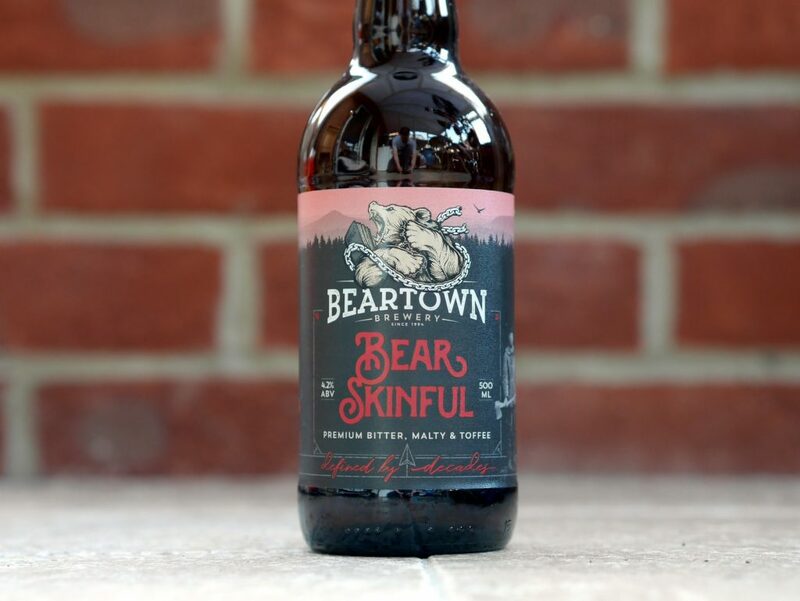 Bear Skinful (there are worse puns in the brewery’s line-up) is about as classically British as beer gets. Amber, with a little head, it has an aroma of toffee, and hops that smell fresh without any trace of American pungency. The taste veers a little towards the sweet side, with biscuity malt, and more of those intriguingly fresh hops. They’re lemony in character, but without any of the sharpness. A smooth mouthfeel ensures this ale slips down without a hint of protest. If you’re in the mood for something traditional, this ‘bears’ a closer look.